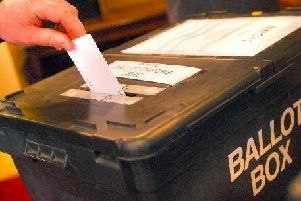 The Peterborough constituency is set to increase for the next general election with the inclusion of Fletton & Woodston ward. The ward currently has two Conservative city councillors to one Labour councillor, suggesting the change would boost the re-election chances for Tory incumbent Stewart Jackson should he wish to run in 2020. Mr Jackson defeated Labour’s Lisa Forbes by 1,925 votes in the 2015 general election, but his majority more than halved from the 4,861 votes he beat Ed Murphy by in 2010. The change is recommended by the independent Boundary Commission for England (BCE) which has today (Tuesday, September 13) published its initial proposals for new Parliamentary constituencies. Fletton & Woodston voters currently have North West Cambridgeshire MP Shailesh Vara as their representative at Westminster. Under the proposed changes, Mr Vara’s safe Conservative seat would also lose the parish of Earith in Huntingdonshire. South Cambridgeshire, while the North East Cambridgeshire constituency would lose Littleport East and Littleport West to a proposed South West Norfolk constituency. Asked his thoughts on the recommended changes, and whether it might boost his re-election chances, Mr Jackson said: “It’s early days as these are draft proposals and are subject to change and there will certainly be other options on the table. A 12 week consultation will now get underway, closing on December 5, while two further consultations will take place in 2017. Publication of the initial proposals is the first time people get to see what the map of new constituencies might look like. Under the proposals, only 68 of the existing 533 English constituencies remain unchanged. “But they are just the Commission’s initial thoughts, during the next 12 weeks we want people to take a look and tell us what they like and don’t like about our proposals. “Parliament has set us tight rules about reducing the number of constituencies, and making them of more equal size, and we now need the views of people around the country to help us shape constituencies that best reflect local areas. Further information can be found at www.bce2018.org.uk.